We have received a number if items about the InterClub Class of historical interest. Use the links, lower left to check them out! If you have old pictures, advertisements or other memorabelia that might be of interest to the rest of the class, please e-mail us. We occasionally will receive scanned articles from by current or bygone publications on the InterClub. 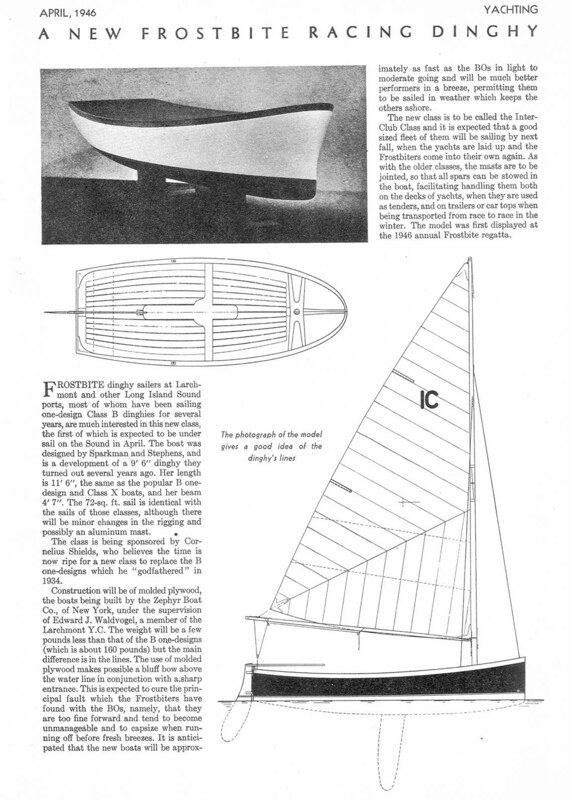 Three pages from Arthur Knapp’s book titled Race Your Boat Right: one, two, three describing the start of frostbiting.